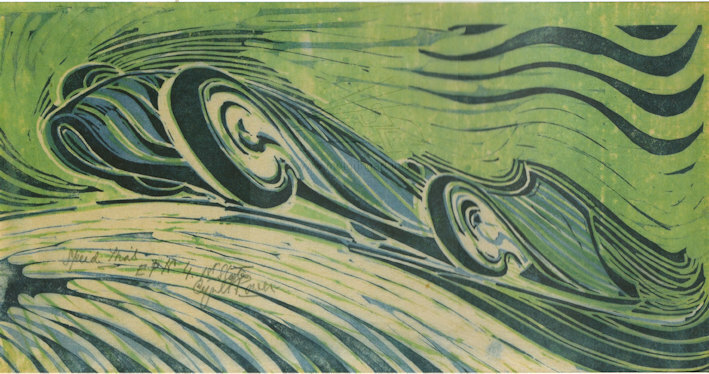 Power was at the forefront of British linocut artists and this work completed around 1932 captures speed and motion. The work is obviously inspired by Malcolm Campbell’s Bluebird exploits breaking land speed records. Speed trial was printed from three blocks and different editions used other colours and number of blocks. This particular example is signed ‘EP No, Ist State’ showing it was an experimental proof number 4 and is believed unique with a green tonal block. 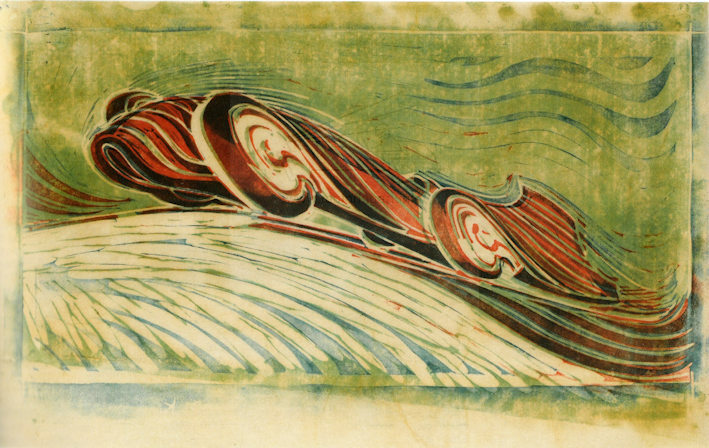 Two examples of Speed trial appeared in Bonhams Auction December 2008, the other linocut having a red car. Power initially worked as an architect during the 1920’s he expanded into landscapes, drypoints and linocuts. Success at exhibitions led to commissions for the underground. He continued to work in various media up to the time of his death in 1951.